There are a number of options for the treatment of varicose veins, some traditional and some more contemporary. Varicose veins are caused by leaky valves. These valves ensure that blood flows in the correct direction i.e. towards the heart. When these valves fail, the blood flows backward and causes the vein to swell. The main valves, which cause varicose veins, are either in your groin or behind the knee. We offer a full range of treatments including minimally invasive or keyhole procedures. All procedures are done as an outpatient or day case. You will have a detailed consultation followed by an ultrasound scan. Based on the scan results, the treatment will be optimised for you. At the end of all procedures, the leg will be dressed in a compression (tight) dressing. We recommend you keep this on for 48 hours. Following this, we would recommend wearing compression stockings until the bruises settle down. This can vary from 1-6 weeks. Although the risk of complications is very small, they do happen, and will be discussed with you before planning any procedure. This is a minimally invasive technique, which involves using heat to coagulate (seal) the varicose vein. The heat is generated by RF energy to seal and shut the faulty varicose vein from the inside. The remnants of the vein are absorbed by the body. Occasionally the remnants of the vein may be felt for a short time as cord on the inside of your leg or the back of your calf. The technique involves having an ultrasound scan of the faulty vein. Guided by the scan, a wire is placed within the vein. This wire is connected to a machine, which produces the RF energy. This heats the wire, which seals the vein. The vast majority of Varicose veins can be treated with RF ablation is the gold standard treatment according to NICE. RF ablation is however not possible for everyone and this will be decided after the ultrasound scan result. It produces excellent results with only minimal post-op pain and discomfort. A quick return to work within 2-3 days can be expected in most cases. The procedure can be done under either local or general anaesthetic. 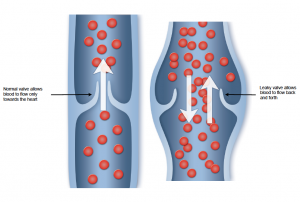 Endovenous Laser Therapy uses the same principle as the RF ablation procedure i.e. using heat to seal and shut the faulty vein. The difference is that the source of heat is a laser. Although it is a useful procedure, the RF ablation procedure has been shown to be better, as it produces less post-op pain and hence quicker recovery. The use of lasers involves more precautions hence RF ablation is our treatment of choice. Stripping of varicose veins remains a very useful and good procedure. This involves a cut either in the groin, or behind the knee, where the leaky valve is located. The vein is identified and tied off at the valve and is then stripped. This involves passing a long wire down the vein, tying both ends and pulling the wire out. The wound is then closed with dissolving stitches. It produces very good long-term results and is employed when less invasive procedures are not possible. Because of the wound and more bruising, compared to the minimally invasive technique, it takes longer to recover. This is usually 1 week to 10 days. The groin wound also means a slightly higher risk of infection. This is usually done under a general anaesthetic. This is usually combined with the VNUS or stripping to give a good cosmetic result. It involves making tiny cuts over the prominent veins in the calf or thigh. These veins are then pulled out in a controlled manner. These cuts are tiny and don’t need any stitches. They are closed with either skin glue or a paper sticker. Although these avulsions leave a bruise, these fade quickly. This technique can get rid of all the obvious veins. Sometimes avulsions can be done under local anaesthetic as a stand alone procedure. This option involves injecting a drug solution into the vein. The injected solution causes a reaction in the veins, which makes the wall sticky and hence seals the vein. The body absorbs the remnants. 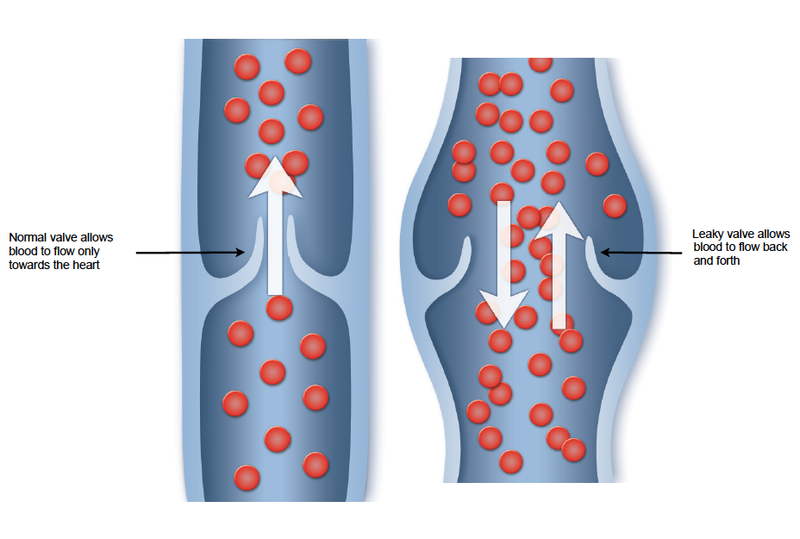 In order to achieve better contact between the drug and the vein wall, before injecting, the solution is mixed with air to create a foam. While it is very good at sealing the vein it causes inflammation in the vein, which can initially be quite painful. It can also cause staining, a brown line appears where the vein used to be, hence it is used sparingly. This can be done in the outpatient setting. This is a cosmetic procedure to treat spider veins and small varicose veins. A tiny needle is introduced into the vein. The same drug solution used for foam sclerotherapy (above) is injected into the thread vein and reacts in a similar way. It works very well for thread veins as the veins are much smaller. This is charged at a sessional rate and the number of sessions will depend on the number of veins to be treated. Venous ulcers are notoriously difficult to treat and can take along time to heal. The best initial way of treating them is with a compression dressing. These dressings will be done by you practice/district nurse or at our vascular unit at the RUH. The usually take a few weeks to months to heal. The healing process is sometimes aided by a course of antibiotics, enforced bed-rest, leg elevation and specialised dressings such as vacuum dressing. Sometime we may need to do a skin graft. Traditionally surgery for varicose veins is postponed till the ulcer is virtually healed because of the risk of infection. However, if the RF ablation is used, the risk of infection is low and it can help expedite the healing. Even after it has healed and the varicose veins have been treated, we would recommend wearing compression stockings to reduce your risk of further ulceration.